My husband and I are invited to a friend’s annual August luau. Last year they had a woman give the party hula lessons. I want to be prepared and wear a grass skirt as part of my Hawaiian party attire. Unfortunately there is one teensy problem with this plan. 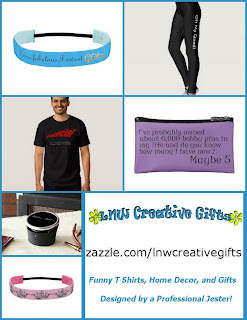 Have you ever tried to buy a grass hula skirt or for that matter any Hawaii themed clothing in August when it is 100% still officially Summer? You’ll be out of luck because everything in the store is Fall, Halloween, and Christmas is starting to trickle in too. Argh! 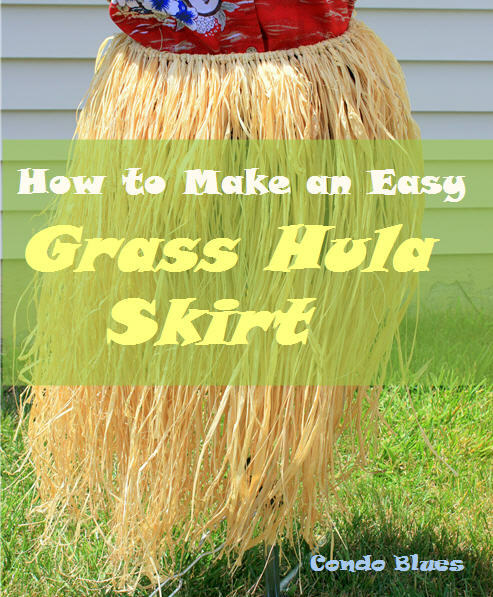 Fortunately making a Hawaiian grass skirt is quick and easy with supplies you can find year round! 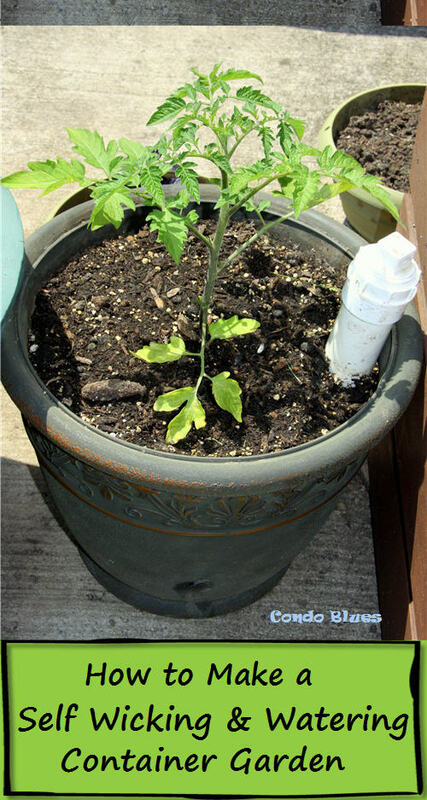 Pin this tutorial to your Pinterest boards for later! Share it with your friends! An episode or so of Outlander to watch while you work. Yes, I’m late to the Outlander party. We didn’t have Starz until I bought a subscription for super cheap through Amazon Prime Video for $8.99 a month. If you want to give it a try you can sign up for Amazon Third Party Video Subscriptions Free Trial here before you decide. That’s what I did. 1. Use the tape measure to measure your waist and add 12 inches to your measurement to allow you to tie the ribbon ties on the skirt together in a bow the back. 2. Use the measuring tape and scissors to cut the ribbon to length. 3. Tie a knot in the ribbon six inches from the end. This will be the ribbon tie you will use to tie your skirt on. 4. 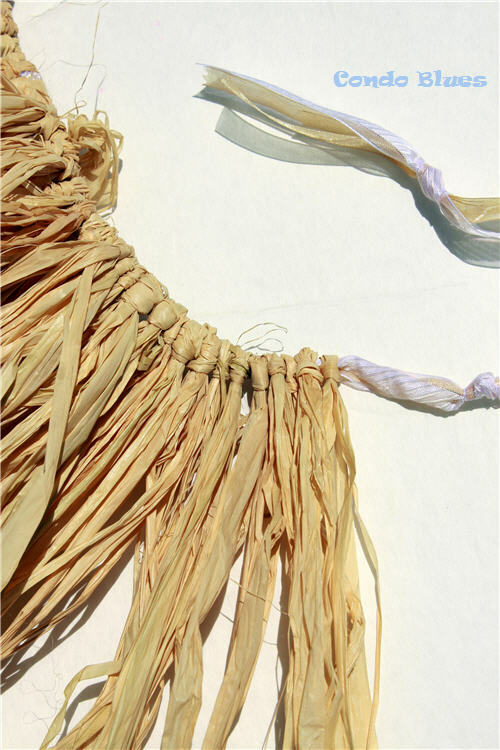 Starting after the slip knot on the ribbon, fold one or more strips of raffia in half, slip it under the ribbon, pull the loose ends around the ribbon, and through raffia loop. 5. Pull the raffia tight to make a slip knot. Warning: Don’t pull the raffia too tight or you may break it. Oops! 6. Repeat Steps 4 and 5 forever and ever until you have filled the ribbon with knotted strips of raffia, leaving six inches of plain ribbon at the other end of the grass skirt. 7. Tie a knot in the ribbon after the raffia to keep the raffia in place. 8. Try on the grass skirt and trim the length if needed. 9. 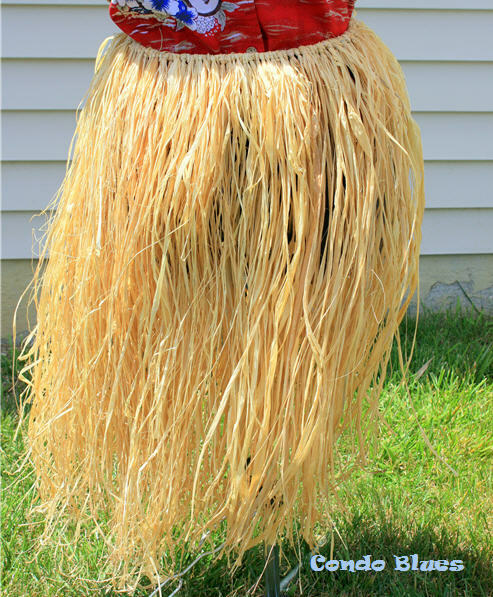 Tie your grass hula skirt on and dance the night away!